THE MOST FUN IN THE SUN! 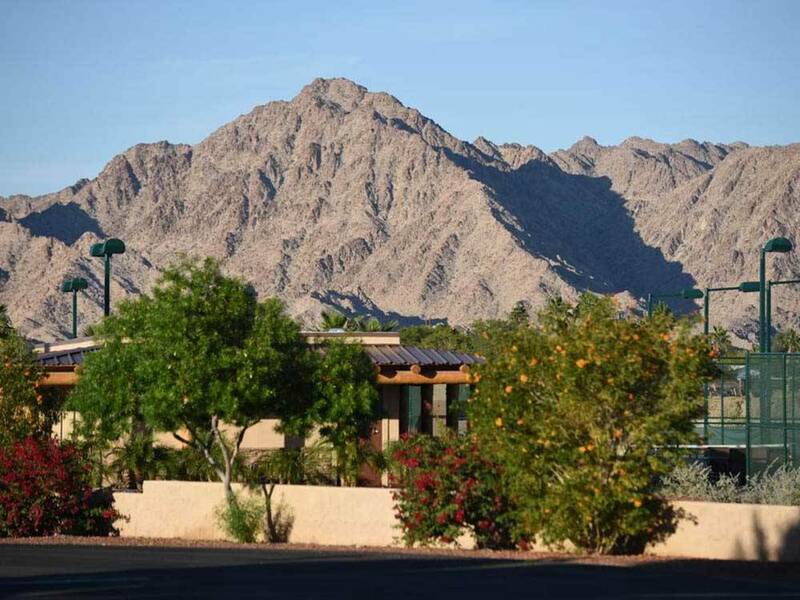 Resort is located in the scenic Foothills area of Yuma, Arizona where the beauty of the desert can be enjoyed while still close to shopping, medical facilities and a brief drive to old Mexico. Yes, it looks really good on paper. If you have a pet, there is no space to walk and the pet park is a long walk away. Our space was so small, we couldn't raise our elbows or see the sky. We were desperate for a place to stay, but we would not recommend it to anyone. Nice clean park with many amenities. However, the sites are extremely small with no space between you and neighbors. Very close to I-8 with a lot of road noise. 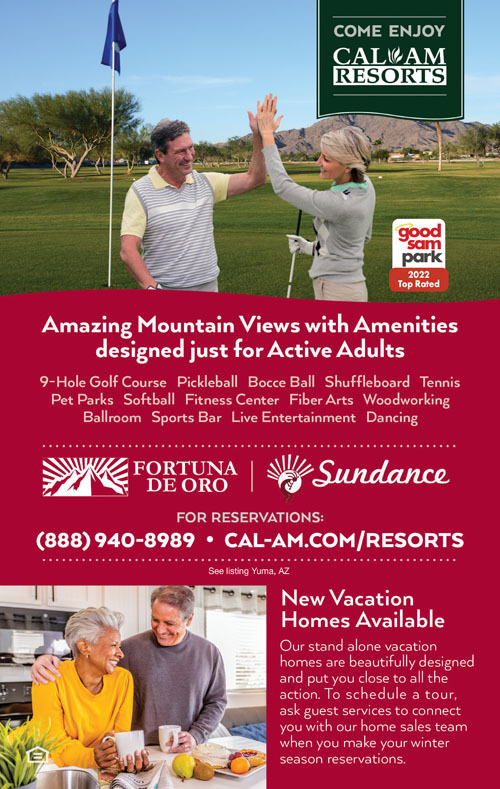 Wi-fi was advertised but only worked at the club house. Friendly, but the negatives were greater than the positives. Welcome home. 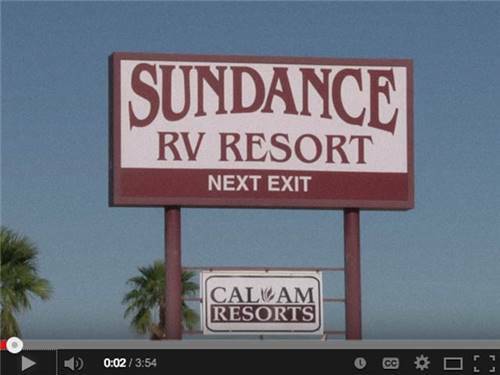 Sundance RV Resort is located in the scenic foothills area of Yuma, Arizona, where the desert beauty can be fully enjoyed while still being close to shopping, medical facilities and a brief drive to Old Mexico.